This is an unbiased post, ok, just honest to goodness review that I want to share to you all! I can definitely say Dupe slippers are a lot better than Ipanema and Havaianas. The problem with Ipanema is that its soles (mid-section area) can easily tear apart. Ampanget! Merong slice dun sa mid part nun swelas. How the hell it happened? It’s not because I’m heavy, no? Pang 50kilos and below lang yata tong stepin na to eh. I’ve had it only for less than a year and it’s already useless (bought Oct 2010)! Not an isolated case because Carol’s Giselle Bundchen Ipanema slippers had the same problem. My cousin also said the same thing about her Ipanema slippers. Total waste of money! 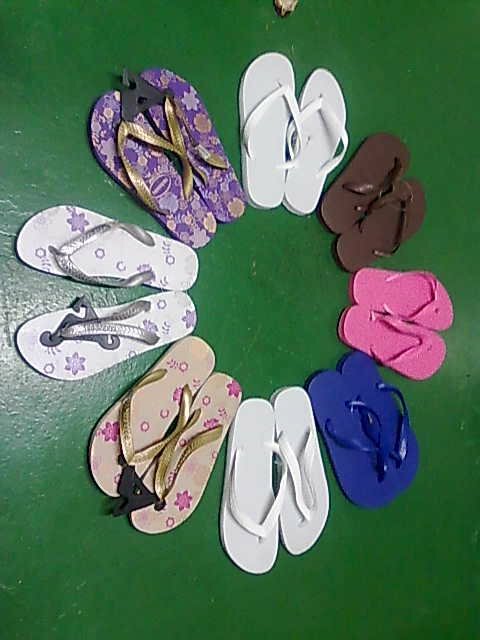 Last May 2011, my brother went Havaianas crazy and hoarded 8 pairs of Havaianas for us and guess what, most of them are already broken! Ang dali mapigtas nun strap. I haven’t even used it for long because it’s Havaianas and it’s sooo precious to me! Original teh because he bought it in Brazil mismo. I haven’t even brought it to Boracaaay lols! Haaay sayang. Ang mahal-mahal pero andali masira. Ruthie had one too na sobrang expensive and nasira din agad yun strap. But my pair of Dupe slippers (I had it since Feb 2011) still look like it’s just out of the box! Walang bola, ang tagal mapudpod even when I use it often – going to palengke, SM, inside the apartment, even inside the CR, my sister even sometimes wear it to work. Ang tibay ng strap. Very comfortable esp. yun may gel sa heel portion nun slippers. I love it! If you want value for your money when shopping for slippers, get yourself a pair of DUPE slippers. They have pretty designs and colors too, they’re very very affordable, above all, they last for a long time! Amazing lang sa tibay. So yes, DUPE SLIPPERS for the win! Increase your chances of being noticed, drive a fancy car!